Steven has over 25 years of experience assisting retirees and Investors save thousands of dollars with simple, clear and concise financial/tax plans. His passion is to inform, educate and assist people manage their financial affairs so they can enjoy a happier and less stressful retirement. After graduating from USC in 1982 with a BS in Finance he has worked in the financial management field, as a CFO, controller, and business owner. Capitalizing on his experiences, in 1998 he opened his own private financial firm focusing on financial planning, investment management, tax planning, and estate planning. He is Enrolled Agent(EA) IRS designation. He has his series 6 and 63 and is an "Investment Advisor Representative" along with Insurance license. 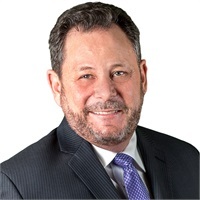 Steven has also written 3 books, mainly on tax planning topics and currently resides in Playa Del Rey California with his wife Adrienne of 16 years.